There once was a man, Jacques Benoit, who spent the 1850s convincing people that he could create a telegraph out of snails. Surprisingly, some people believed him enough to give him money. Unsurprisingly, the idea failed. Benoit was an occultist in the 1800s, which was the perfect time to be an occultist — after the terrors of witch-burning, but before the terrible degradation of modern paranormal reality shows. The idea of merging science and magic was very much alive at the time, and some reputable people held séances and investigated sightings of gnomes and fairies. Benoit did not confine himself to investigation, however. He decided to expand into invention. For some reason, he got the idea that snails were fantastically loyal mates, and that if two snails mated, one would always be linked, telepathically, to the other. Agitate one, and the other will be agitated in the same way. This would happen no matter how far apart the two snails were. It would happen instantaneously. Knowing what he did about snail telepathy surpassing the speed of light, he decided that, if twenty-four pairs of snails were mated together, and then the pairs split up, poking a snail at one end of the Earth would allow a person to send signals to a compatriot on the other end of the Earth. Just confine the snails on a board, move the boards apart, and poke the one that signals the appropriate letter. It was called the pasilalinic-sympathetic snail compass, or snail telegraph. Amazingly, it was not an original idea. The idea of “flesh telegraphs” had been around since the 1500s. People wrote of sympathy between all kinds of animals, including humans. One person claimed to have discovered a flesh telegraph because a patient complained that whenever someone poked some flesh that had been removed from his arm, his nose started itching. Benoit simply refined the idea, and used more portable animals. Although Benoit did find investors for his snail telegraph, the result failed to be as accurate as people had hoped. Benoit himself disappeared when a skeptic demanded a rigorous test. The sympathetic compass was abandoned for actual telegraphs. It's a shame. 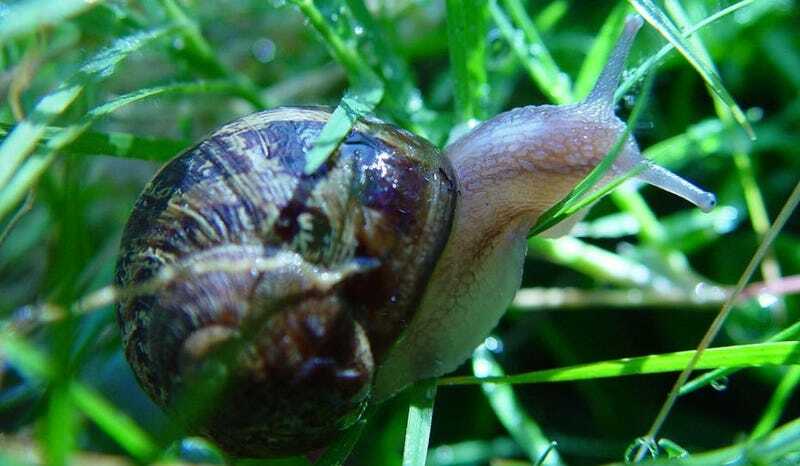 I would love to see the new physics facilities that would spring up if it were proved that snail sexual telepathy was the only thing that moved faster than light. Via A History of the Electric Telegraph and Wired.